for $189,900 with 2 bedrooms and 2 full baths. This 1,247 square foot home was built in 1987 on a lot size of 0.4800 Acre(s). 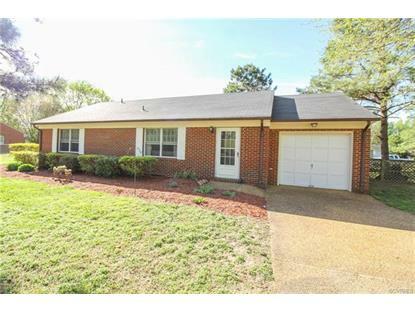 Wonderful, maintenance-free, Brick Rancher perfect for the First Time Home Buyer or the Family Desiring to Downsize! This 2 Bedroom home with a 3rd bedroom converted and currently being used as a Dining Room has a Master Bedroom w/ ensuite, a Large Living Room, a Spacious Kitchen, and an attached 1 Car Garage! Outside enjoy the beautifully landscaped yard with a partially fenced in area and additional storage sheds that convey! This home has been well taken care of and is conveniently located minutes from 64 making your commute to Richmond or to Williamsburg a breeze! Don't wait to schedule a showing! This home will not last long!